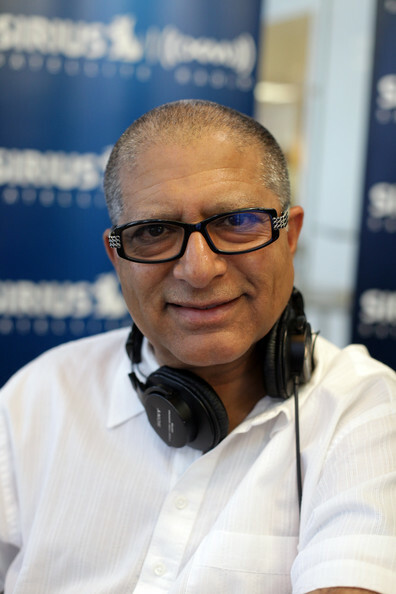 Deepak Chopra was born on 22nd October 1947, in New Delhi, India. He is a physician with a specialization in endocrinology, an author and a public speaker, who became famous promoting alternative medicine and popular forms of spirituality. He is sometimes a “New-Age guru”. So just how rich is Deepak Chopra? Sources estimate Chopra`s net worth is $80 million, money having been made from his business based on alternative medicine and the so called “holistic medicine” movement. At the beginning of the `90s, the physician was making $25,000 for each lecture, and prices were increased once Chopra’s popularity grew. This is just one from the multiple sources of Chopra’s net worth. Deepak Chopra was born into a wealthy family, his father being an important cardiologist and head of the department of cardiology at Mool Chand Khairati Ram Hospital in New Delhi. He graduated from the All India Institute of Medical Sciences in 1969 and in 1970 he immigrated together with his wife to the US. In 1973, Chopra earned his license to practice medicine in the state of Massachusetts. After meeting Brihaspati Dev Triguna in 1981, Deepak Chopra discovered transcendental meditation and started practicing. Soon after, he founded the American Association of Ayurvedic Medicine. The physician also collaborated with Maharishi Ayur-Veda Health Center in Lancaster, Massachusetts, and was one of the founders of Maharishi Ayur-Veda Products International. Among his patients there were several celebrities, including Elizabeth Taylor and Michael Jackson. The media has written about the costs of Chopra’s treatments back in the ‘90s, which started from $3,000 a week. In 1991, the physician was involved in a multi-million dollar lawsuit, involving the Journal of the American Medical Association (JAMA), which had written an article containing concerns regarding Ayurveda and the alternative medicine. The details of the settle between Chopra and JAMA weren’t made public. Regardless, his net worth was climbing steadily. In 1995, when he opened the Chopra Center for Well Being in La Jolla, California, Deepak Chopra had already become a famous physician, after having published a successful book and having appeared in Oprah’s television show. The physician has written 80 books, which include the New York Times bestsellers “Perfect Health” (1991), “The Seven Spiritual Laws of Success” (1994), “Ageless Body, Timeless Mind: The Quantum Alternative to Growing Old” (1995), “The Way of the Wizard” (1995), “The Book of Secrets” (2004), and “Reinventing the Body, Resurrecting the Soul” (2009). His books were sold in more than 15 million copies, being translated in 43 languages. In 2009, Deepak Chopra founded the Chopra Foundation, which is dedicated to teaching and to offering resources for health. The foundation finances scientific research into mind/body spiritual healing and helps at-risk children, women and teenagers with low income. Choptra’s businesses are believed to gross over $20 million a year, and include companies which manage his appearances, a company which produces and sells Ayurvedic products, and a multimedia company. The media has written that Chopra’s salary alone goes beyond $8 million a year. In his personal life, Deepak Chopra married Rita Chopra in 1970, while he was still living in India. The couple has a son and a daughter. 3 In 2007, Forbes Magazine estimated his earnings for the year at $22 million. 4 Produced a CD of the love poems of the 13th-century Persian poet "Rumi", featuring such celebrities as Demi Moore and Madonna as readers. 5 His father side of the family were military people while his mother's side were doctors.